In the midst of finding out the beloved rapper and Crenshaw community hero Nipsey Hussle was fatally shot and killed, emotions ran high and stories swirled — some even tried to profit off of clicks generated from a very painful episode in rap culture. One such story was of Jay-Z creating a $15 million-dollar trust fund in the name of Hussle’s two children. It was a clutch-the-pearls, feel good type story that made many who read it applaud the rapper for stepping up for a fallen hip hop comrade. And it seemed true enough given Jay’s reputation for benevolence, except it was all fake news. The false report was started from a random hip hop blog that specializes in sensational news in an effort to promote ads, South African news website The Times Live reports. Sadly, once folks got wind of that one report, the fake news spread like wildfire with Jay receiving high praise for what folks’ thought was a very honorable philanthropic act. Others warned against allowing fake news to consume them at a very vulnerable time. But it turns out no representative from ROC Nation, the entertainment company founded by Jay-Z himself ever put out any announcement of such an act. The rapper does have a history with Hussle, having purchased 100 copies of one of his early mixtapes, catapulting his rap career. 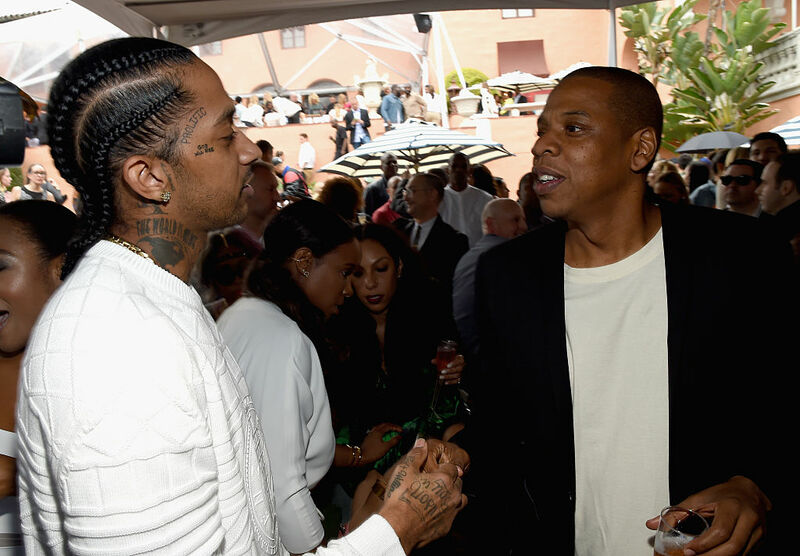 Hussle had also requested ROC Nation to participate with him in a meeting with the LAPD to address gang violence in Los Angeles on April 1, but he was killed a day before it was set to take place. READ MORE: Nipsey Hussle Murder Trial: Why is O.J. prosecutor Chris Darden defending accused shooter Eric Holder? Meanwhile, Hussle’s family of slain rapper after searching multiple venues, have announced that his memorial service will be held Thursday, April 11 at L.A.’s Staples Center, TMZ confirmed. The 21,000-seat venue had previously hosted Michael Jackson’s memorial in 2009. According to social strategist and close family friend, Karen Civil, tickets to the memorial service will not be sold or made available to the public as has been reported by several outlets.